Dry scalp is really a matter of concern as it results in unmanageable and itchy hair, which may finally lead to hair. There are sebaceous glands present on the scalp that produces sebum which keeps the hair and scalp moisturized. It is very important to take measures to get rid of dry scalp. Below are few home remedies for the same. 1. Aloe Vera gel extract– It contains amino acids, folic acid, Vitamin C and vitamin A. This soothes the dry skin and locks the moisture. It also effectively removes dandruff. Take the fresh aloe Vera gel and add 2 drops of tea tree oil and a tablespoon of rose water. Mix well and apply to the scalp. Leave it for an hour and then have a head bath. Repeat this 2 times in a week. 2. Warm oil massage– It is very important to have an oil massage to promote blood circulation of the scalp. You may use any natural oil for this purpose, such as jojoba oil, mustard oil, castor oil, olive oil and coconut oil. 3. Tea tree oil– Being anti-fungal it is very effective in killing bacteria as well as inhibiting the overproduction of the skin cells. Thus, it prevents dry and flaky scalp. Add 4 to 5 drops of this oil in your shampoo or conditioner. Apply it on your scalp and hairs. Keep for 30 minutes and rinse it off. Do apply undiluted tea tree oil to your skin or scalp. 4. 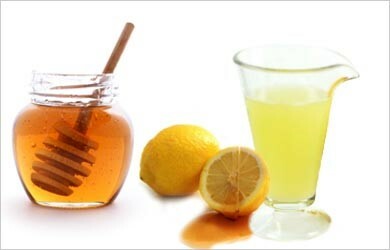 Lemon and honey for dry scalp– Lemon is antibacterial and well-known humidifier. It locks the moisture. Also, lemon is anti-fungal and possesses cleansing properties. Take a tablespoon honey and add a tablespoon lemon. Mix well, apply on your scalp and massage for a few minutes. 5. Peppermint essential oil for dry scalp- Owing anti-inflammatory properties this oil not only treats itchy scalp, but also moisturizes the scalp and enhances hair growth. Add 4 to 6 drops of this oil in your shampoo, mix well and apply it. Leave for 20 to 30 minutes and rinse it off. 6. Yogurt- Yogurt contains lactic acid. It not only removes dandruff from hair, but also removes the dryness. 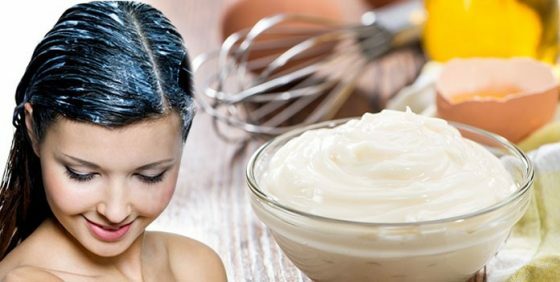 Take 2 tablespoons of yogurt and apply on your scalp and hair. Massage properly and leave for an hour. This is followed by taking head bath. Yogurt also is a very good conditioner. You may also add the egg to it for more effective results. 7. Egg- It is rich in protein. It effectively nourishes the scalp and prevents dandruff and hair fall. Just break 2 eggs into a bowl and add a tablespoon olive oil and one-fourth cup of water. Mix well and apply on your scalp and hair. After an hour take a head bath. Apply it regularly to get thicker hair. Try any of the above-mentioned home remedies for dry scalp and get rid of most of the dermatological issues.